The Melita has two main room categories Classic and Superior rooms, but each room has it’s own character with unique artwork. 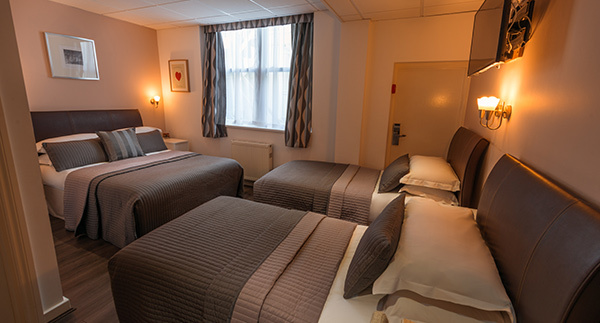 Coupled with the hotel’s friendly service and modern technology, staying at The Melita is sure to be a wonderful experience, whatever the occasion. 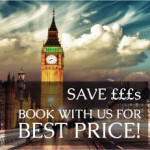 Booking four rooms or more? Contact us directly for special group rates. 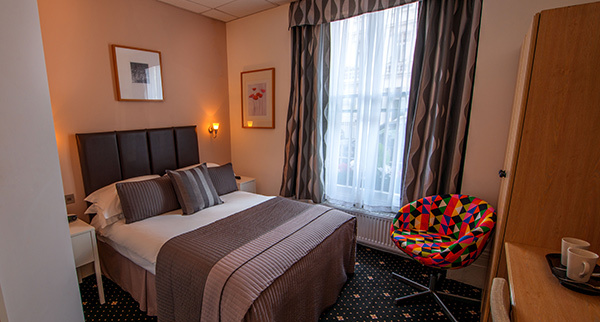 Both Classic and Superior rooms range in size from cosy single rooms perfect for business travellers, to airy rooms for families of four. 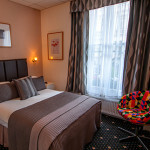 Superior rooms provide modern, chic accommodation for the most discerning guests. They are the premier room category of the Melita style. 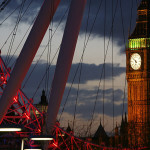 They remain amongst the best value in the area and give guests a true Melita Central London experience. Each has a minimal bathroom detailed with mosaics and a separate walk in shower. 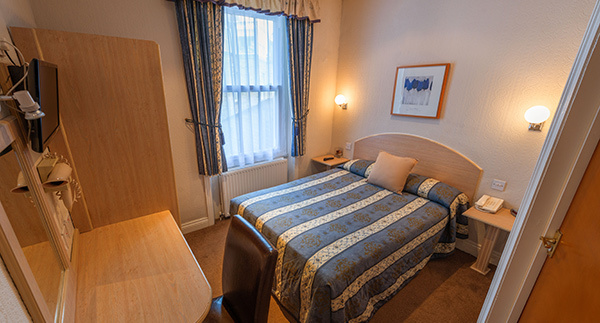 Classic rooms offer an unpretentious, homely and great value room to unwind in. All the curtains and linen are provided by the supplier to HM Queen Elizabeth II for her homes, giving these simple rooms warmth and character. 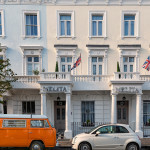 The Melita has a number of dedicated rooms for families of three or four, as well neighbouring rooms perfect for families with older children looking for convenient townhouse hotel in London.